More Cats Wing Series Keith Kimberlin Personal Checks have kittens with butterfly wings, and a colorful background of butterflies. More Cats Wing Series Keith Kimberlin Address Labels have kittens with butterfly wings, and a colorful background of butterflies. Kittens Personal Checks - These adoring kittens are just as cute as can be and are also a bit mischievous! Take them with you everywhere you go and share them with the world with these delightful Playful Perky Kittens Personal Bank Checks! 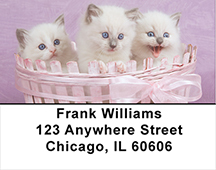 Kittens Address Labels - These adoring kittens are just as cute as can be and are also a bit mischievous! 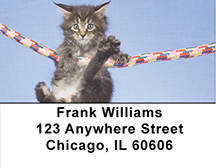 Take them with you everywhere you go and share them with the world with these delightful Playful Perky Kittens Address Labels!